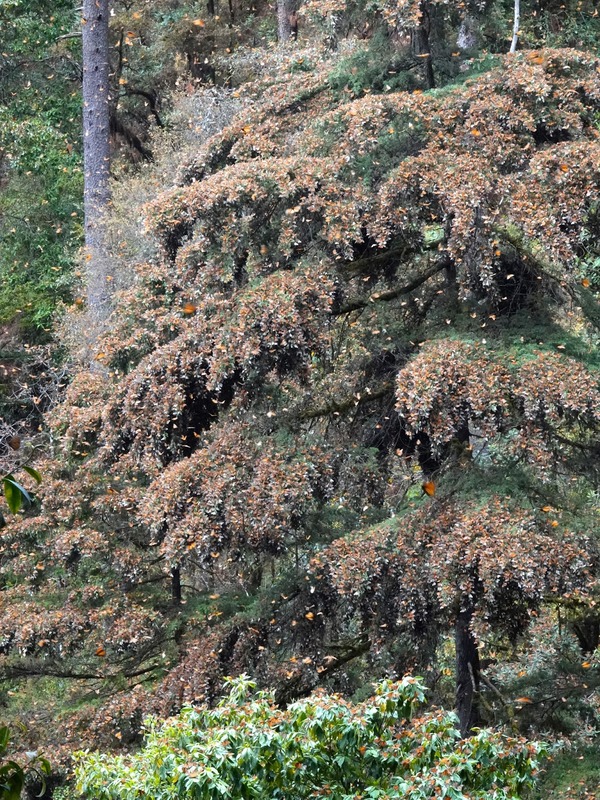 Whenever we talk about monarch butterfly conservation, we suggest that folks visit Mexico to see the areas where monarchs gather in huge numbers to wait out the northern winter. This year, in cooperation with our parent organization, New Jersey Audubon's Cape May Bird Observatory, we led a small group tour to Mexico, visiting three of the sanctuaries where monarchs are found from late October through mid-March. We enjoyed excellent weather and were completely overwhelmed by the spectacles, millions of monarchs draping the trees and shrubs, drinking from puddles and from wet grass, and at time filling the sky with a blizzard of orange and black. You can read a full report from the trip on the NJ Audubon Eco-Travel web page here: http://www.njaudubon.org/Portals/10/Travel/PDF/Mexico_trip_report_Final.pdf, or see a more extensive photo gallery here: http://www.mgnature.com/mgnature/Mexico18.html. I think everyone was thrilled with the experience. How did our visit support conservation? It's the basic premise of ecotourism. When communities surrounding the monarch sanctuaries gain economic benefit from the spending of tourists coming to see the monarchs, they're likely to work for the preservation of the forest habitat that the monarchs require. We spent money at hotels, restaurants, gift shops, and with local guides at each of the sanctuaries, plus the people who tend the horses that many of us rode to reach the high mountain areas where the monarchs occur. It's a win-win. We are amazed to see millions of monarchs in such a small area, knowing that every one started its life in the US and Canada and made an epic migratory journey. The local people are equally delighted, and their lives are enriched by both the presence of the butterflies and the money spent by visiting ecotourists. 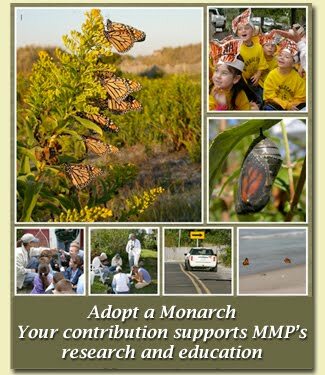 We hope to offer more visits to the Mexican monarch sanctuaries in the coming years. 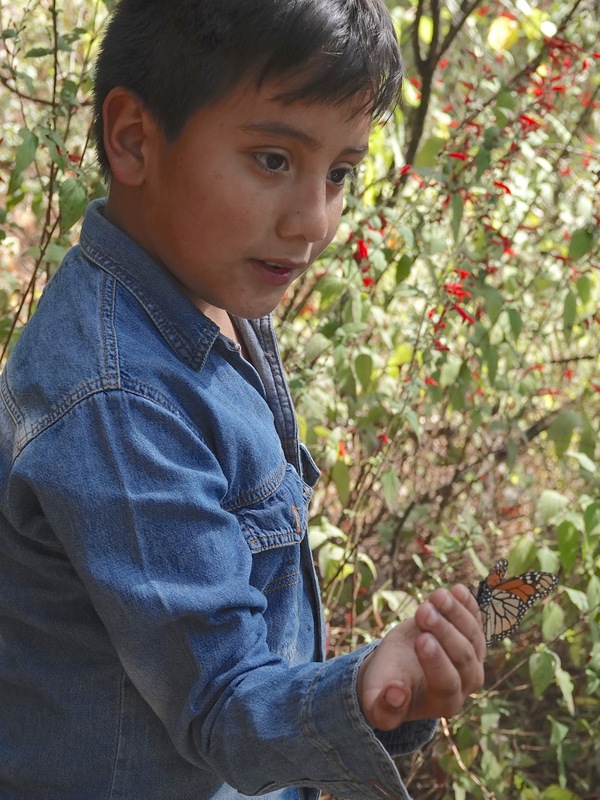 Young Mexicans delight in the butterflies, just as visitors do.